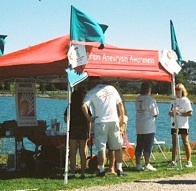 The 3rd annual KAT-Walk 4 Brain Aneurysm Awareness was held on September 10, 2011. 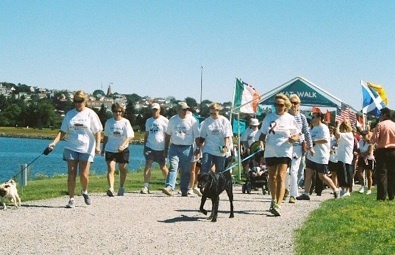 The oceanside Back Cove Boulevard was the perfect backdrop for this event that hosted over 200 walkers, a successful silent auction and 50/50 raffle. New families and friends joined in the walk and we had the opportunity to show our support by welcoming them to the brain aneurysm community here in Maine. This year, along with our Brain Aneurysm Awareness tent, we were joined by the Brain Injury Information Network of Maine. 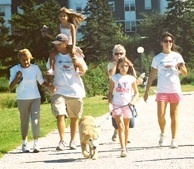 The KAT-Walk for 2011 raised in excess of $9,000 for The Brain Aneurysm Foundation and will help to provided critical awareness, education, support and research funding to reduce the incidence of brain aneurysm ruptures. Thanks to all that made the day a huge success. In memory of Karolina A. Kurka and with heartfelt thanks to 'Team Karolina' and her family for their participation in KAT-Walk 2011.